Without kings and hereditary aristocrats, there still seemed to remain two different sorts of free people in the United States: the wealthy elite and the untutored ordinary people. Would American elites accept and support the new government created by the U.S. Constitution? Would they expect to rule the nation? How far would they exert their social and economic power to shape government policies? What was the role of the common people and their common sense? Officers from the Continental Army and Navy formed the Society of the Cincinnati in 1783. It was to be an honorific and hereditary society to support patriotic fellowship. Americans who prized social equality worried that the group was creating a new, hereditary privileged elite. Public controversy caused the society to temporarily abandon the requirement that membership be limited to descendants of original members in 1784. George Washington, president of the society, signed this certificate of membership for William Clark of Virginia. The powers and policies of banks quickly became a divisive issue in the United States. Bank advocates noted that banks would support economic growth. Bank critics complained that they channeled capital largely to merchants and manufacturers rather than farmers or small producers. Some objected that privileges of incorporation given to banks generated large profits for private investors. If government policy increased the social and economic gaps among citizens, could Americans sustain a democratic or republican government? Free working people were essential political and military actors in the Revolution. Many accordingly sought a greater voice in political life. 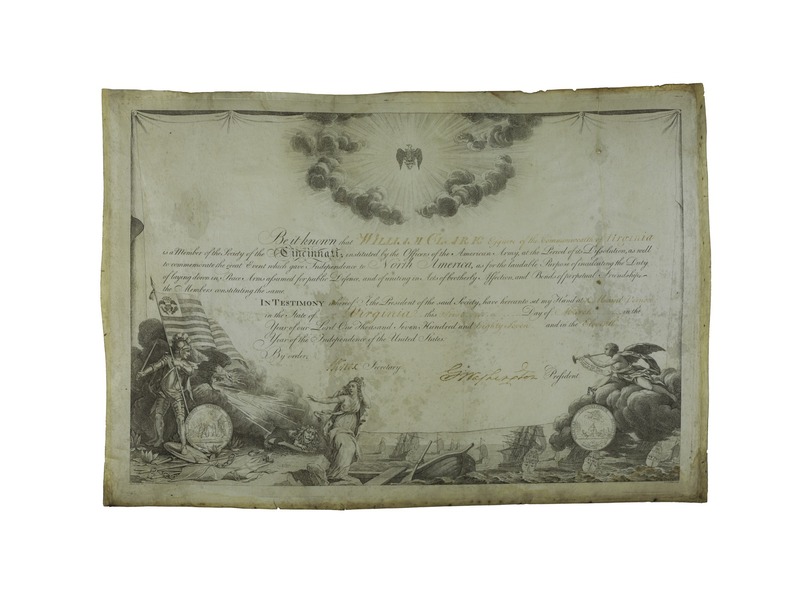 Skilled craftsmen formed general societies for charitable and educational purposes, as seen in this certificate of New York’s General Society, founded in 1785. By 1800 journeymen mechanics, who worked for masters for a wage, began organizing “combinations” to negotiate to improve their work lives. In later decades, as they gained the right to vote, tradesmen would form workingmen’s parties to promote their interests, views, and candidates in elections. To broaden their political community, Americans worked to make formal education, once the province of elite families, available to a wider population. In Virginia, Thomas Jefferson proposed a statewide system of public schooling to make sure that talented children of poor parents might contribute as citizens of the Commonwealth. In other states, proponents of a participating citizenry also promoted public schooling as essential to the nation. This plan for a school to serve the families of Braintree, Massachusetts, was drawn up in 1810.